The Book Fair is here!!! The annual Scholastic Book Fair has arrived at John Clifford! 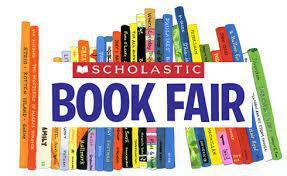 All of the children will have the opportunity to browse through the books on sale at the Book Fair this week. Books will be on sale on the playground from 3.25pm on Thursday 9th June - Tuesday 14th June. This year, we have been offered 100% commission on all books purchased. This means that for every book bought, we can buy a book to the same value for school! Help us to raise our total of £500 of new books for our library! Please come along and browse the great range of books and stationery on offer.